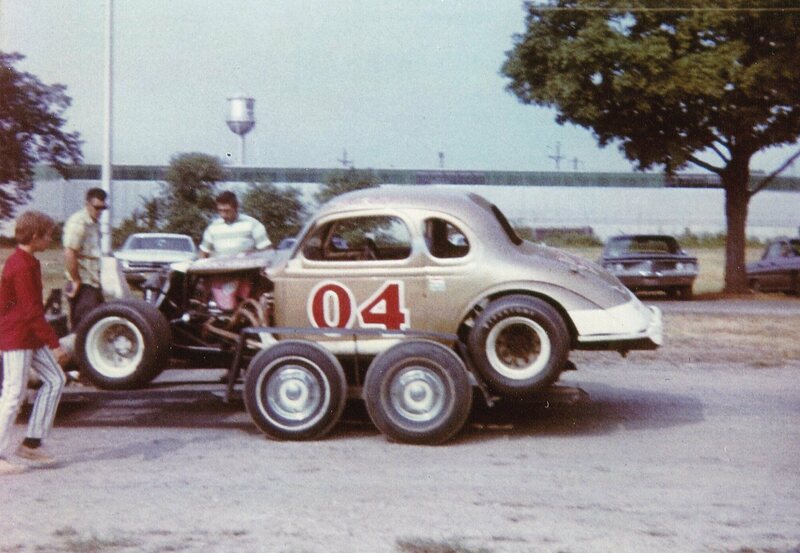 Trenton, car driven by Paul Radford, whose nose can been seen in shadowy profile. 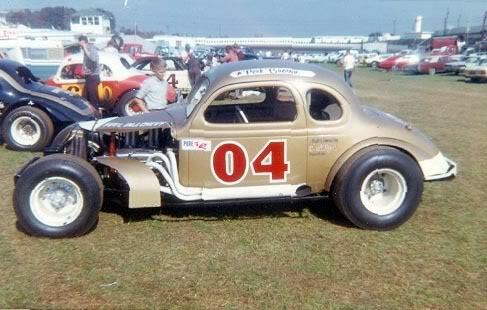 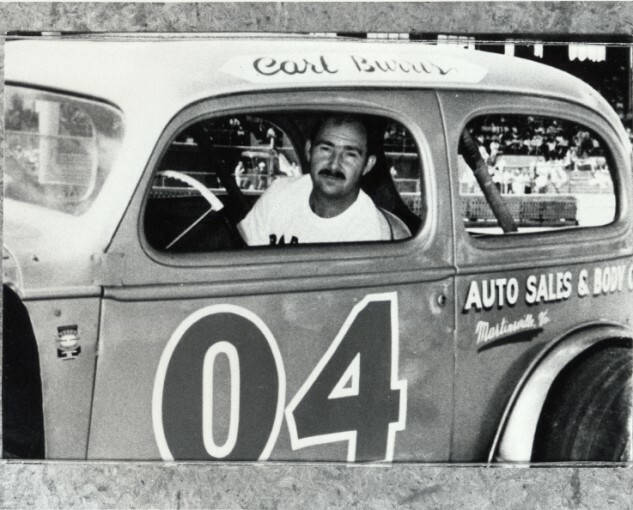 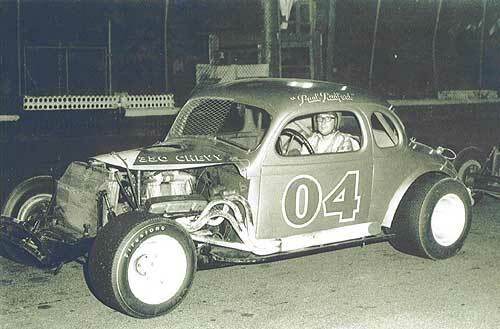 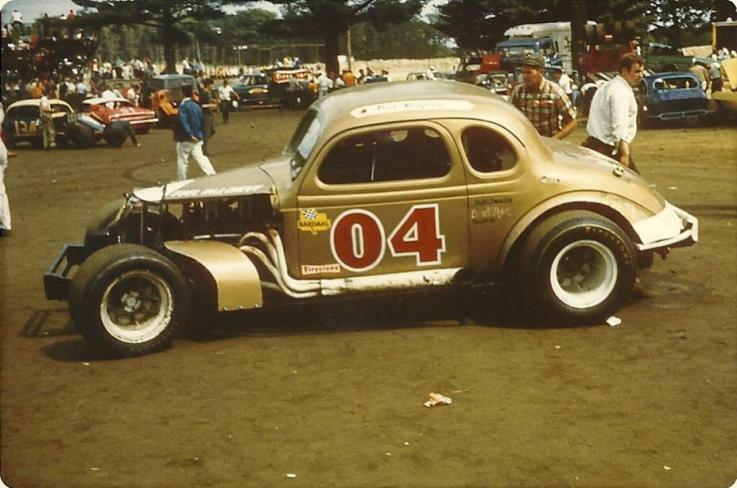 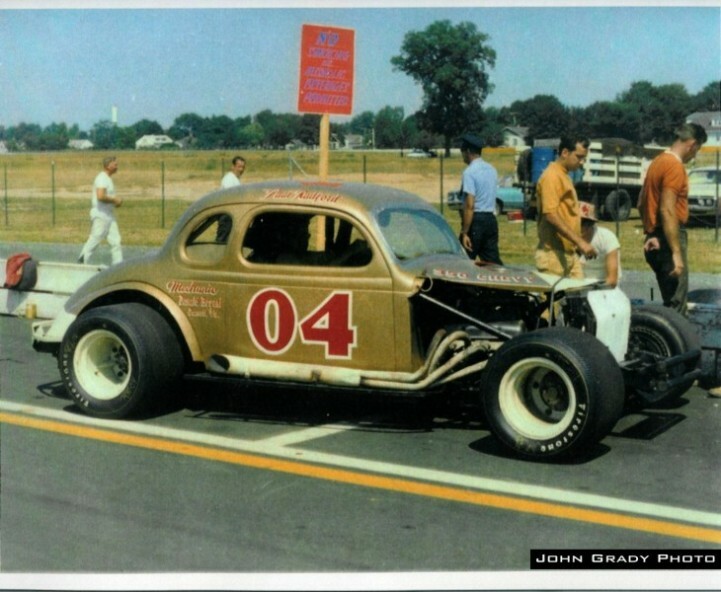 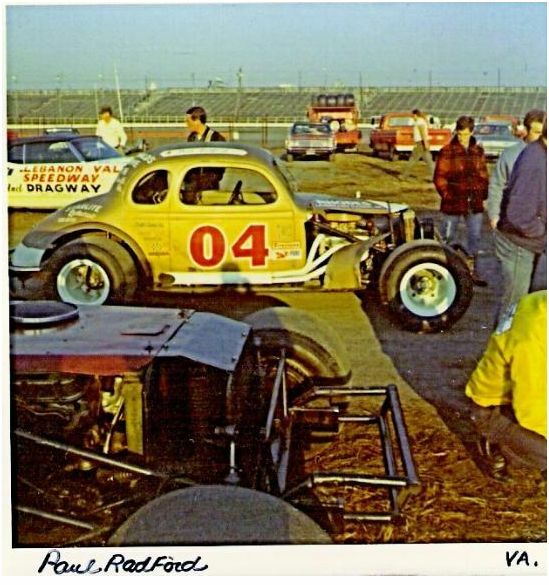 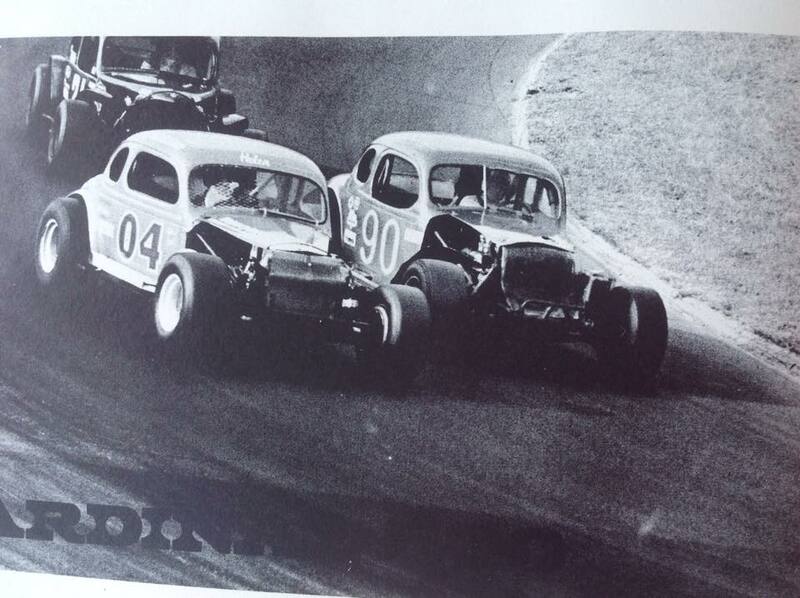 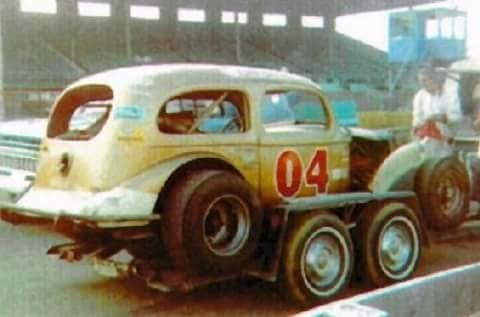 Paul bought the #04 from car builder Donald Bryant, brother of Modified driver Johnny Bryant. 1968 – Trenton 200. 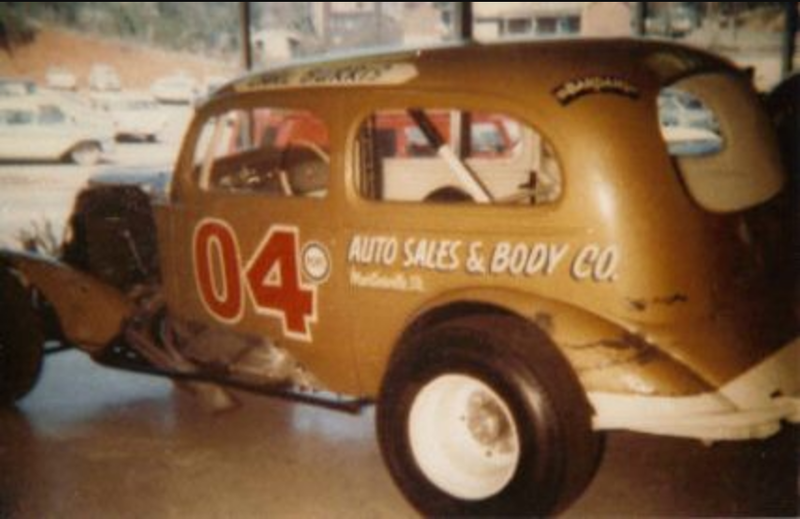 Perk Brown was the driver. 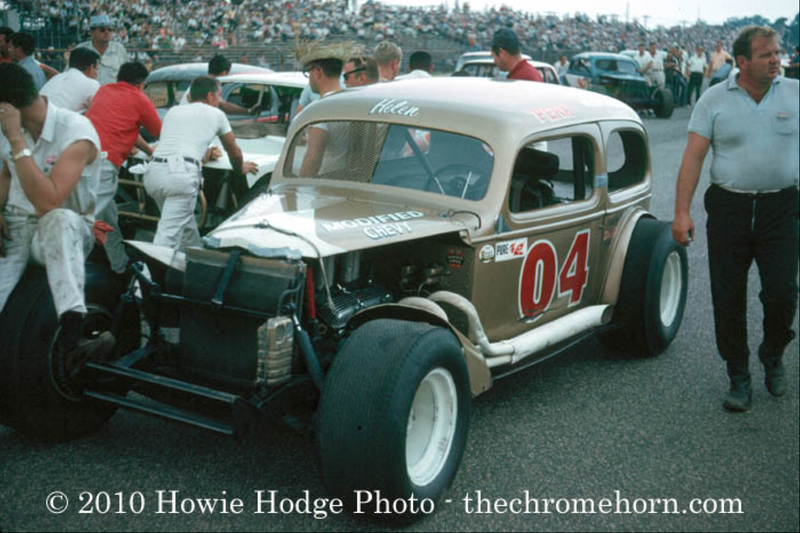 This photo was taken by Howie Hodge.